Drivers faced queues on the A43 between Kettering and Northampton following a two-vehicle crash today (Monday). Police were called to the incident near the Pytchley turn at about 7.30am. 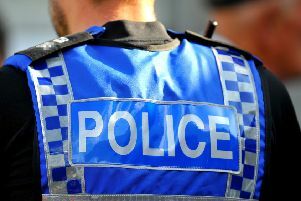 Traffic was reduced to one lane and officers at the scene were directing traffic past the crash, meaning tailbacks for those heading to Northampton as far back as the junction for the A14. Drivers heading into Kettering were queuing from the scene to the Hannington turn. Police hope the road will be cleared as soon as the second vehicle has been recovered.